1000FT 2 Conductor 18 AWG Stranded Extra Flexible Plenum Cable. 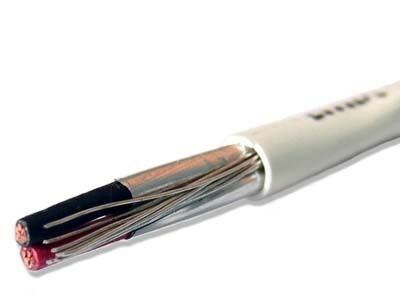 Shielded Electronic Cable. Remote Control, Signaling, Communication and Power Limited Circuits. Conductors Cabled with an overall Aluminum/Polyester Shield and Drain Wire. Comflex Plenum Insulation, White Comflex Plenum Jacket. Used For Intercom/PA Systems, Sound/Audio Systems.